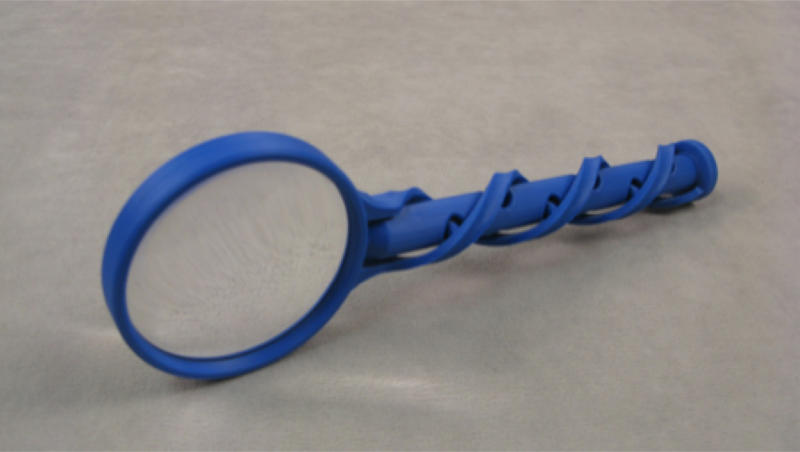 We recently put the finishing touches on our latest “just for fun” prototype project: a magnifying glass created from a single piece of plastic. Because so many of our client projects are protected by nondisclosure agreements we spend a portion of our free time creating products that synthesize creative design, engineering, and allow us to promote the unique capabilities of our team. 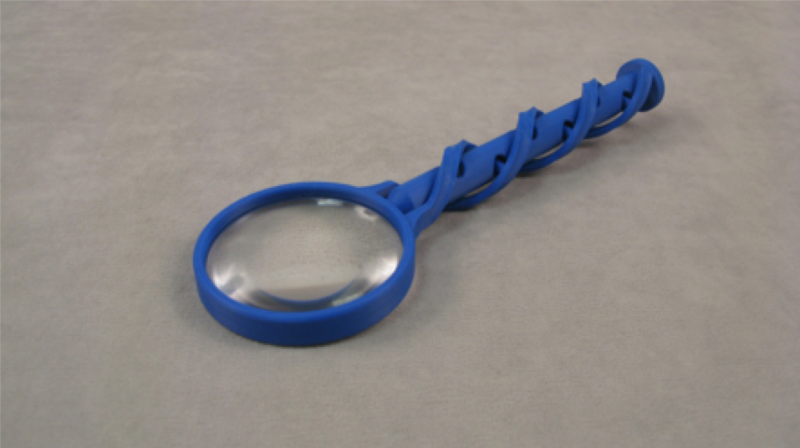 One of our young engineers recently came up with the idea of a prototype magnifying glass which he brought to life by machining a single piece of acrylic plastic into a lens and then 3D printing the handle to go with it. 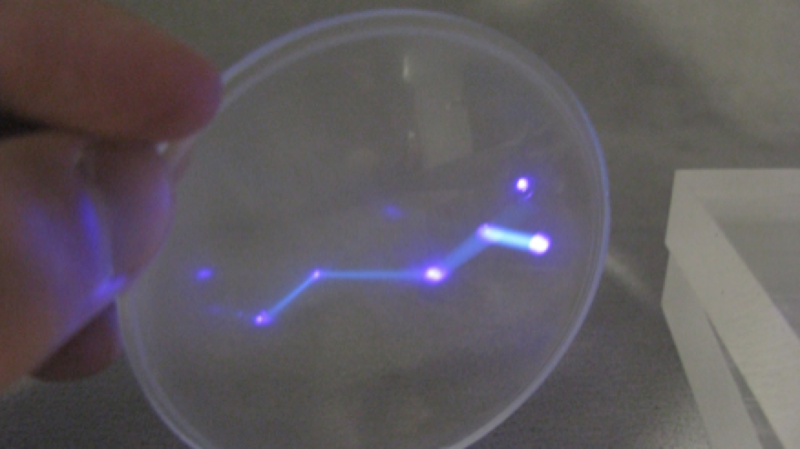 The computer aided design as well as the pieces fabricated from it were all manufactured in-house at Creative Mechanisms. 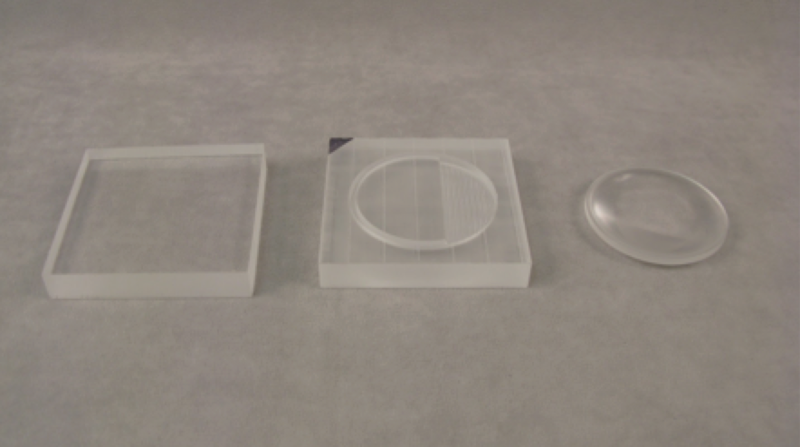 Step 2: Begin rough cutting the acrylic into the approximate shape of the lens. The desired specifications were to have a converging lens with a 3” diameter and a focal length of 3”. 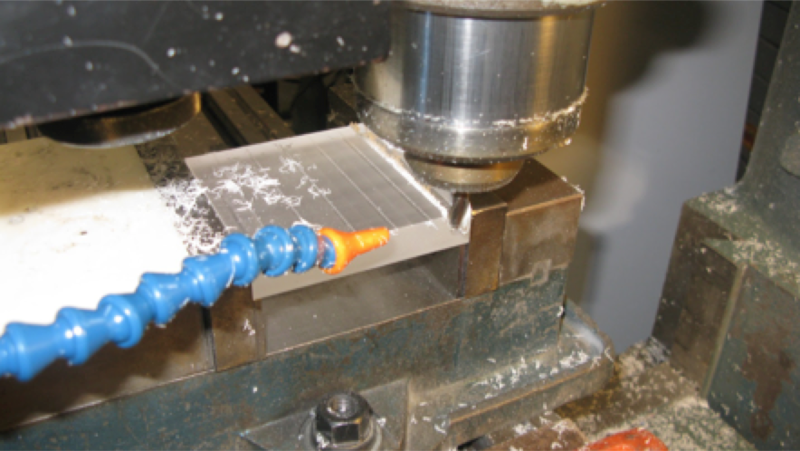 The above image shows the single tool CNC machine cutting the acrylic plastic piece according the Computer Aided Design (CAD) files provided to it by our design engineer. 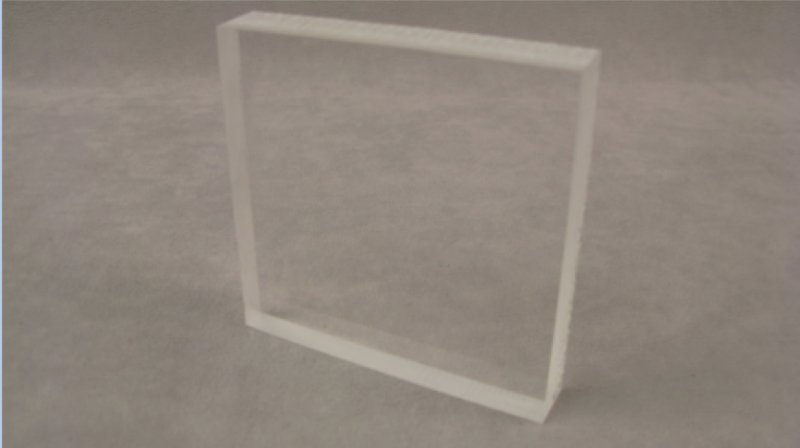 Above is an image of the acrylic plastic stock at various points in the machining process. The left-most plastic piece is the stock plastic from a supplier. 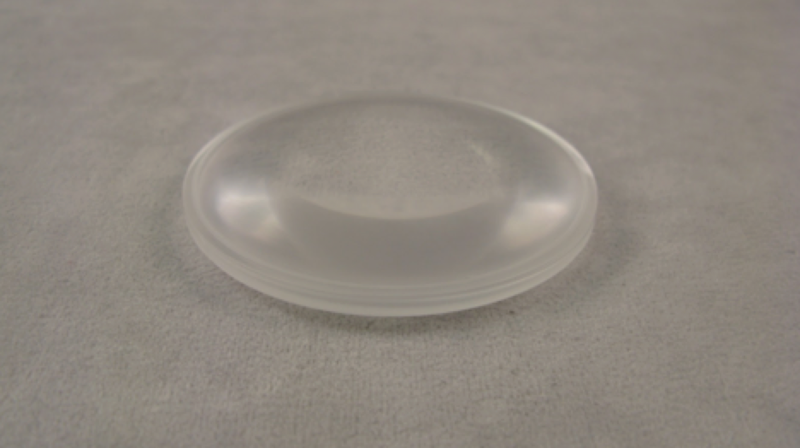 The piece in the center is the lens halfway through the machining process and right-most plastic piece is the lens after the machining process is complete. And that’s it! 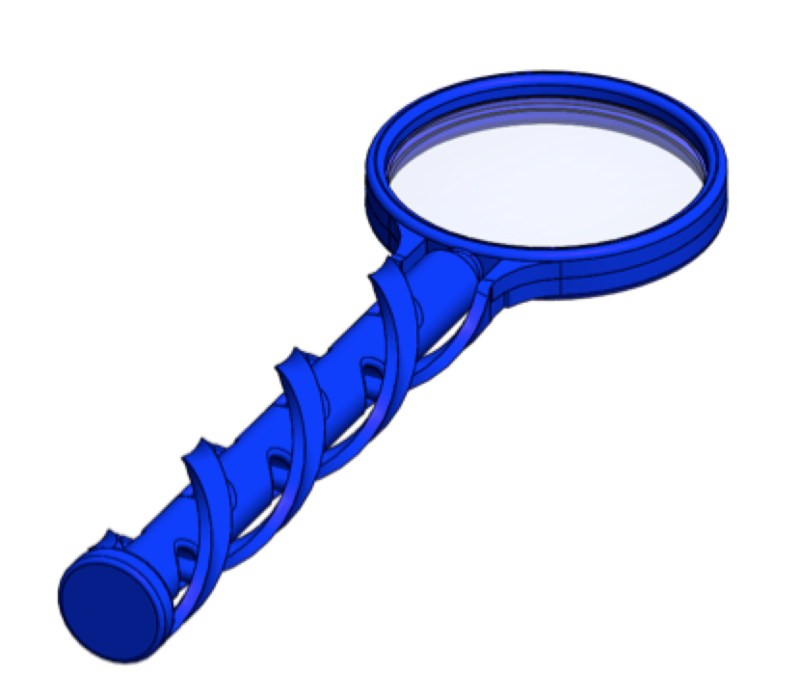 A novel magnifying glass prototype designed and produced entirely from scratch using nothing but plastic! The entire project was designed and produced by the team at Creative Mechanisms using Solidworks CAD and our integrated software-hardware infrastructure. 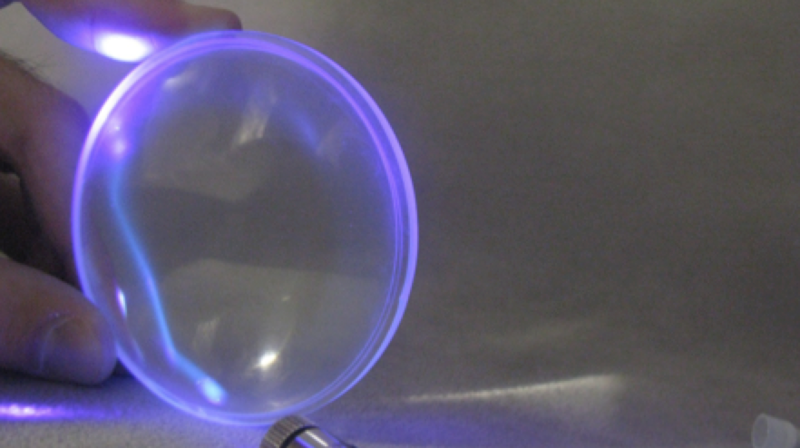 The lens is CNC machined from a single sheet of transparent acrylic stock and the handle is 3D printed using ABS plastic. For various reasons with a project like this it is actually impossible to create the handle using either injection molding or a CNC machine. As such we chose the manufacturing method most suited to the particular aspect of the project. In the case of the handle it was our state of the art 3D printer.